OneEurope author Lusine Sargsyan provides an overview of the education system in Belarus. OneEurope journalist Robert Heslop reports on the recent members' event held by TEAM Global at Westminster Cathedral Hall. According to statistics, foreign students (in particular, Erasmus ones) prefer sunnier venues in Spain and Italy, or countries renowned for their universities such as England or France. And yet Leuven, Belgium’s student city par excellence, remains a melting pot of students from all over the world. See the countries that care about the future of the young generation by investing more in education. Is your alma mater on the map of the top European universities? How Education can Empower Women? More and more students choose to study abroad. What are MEPs doing to improve life for children? Infographic: Education - the Key to Integration? There are many educational systems in Europe, but there is a very special one called Montessori. It was invented by Maria Montessori, one of the first female doctors in Italy. Her Montessori method became famous all over the world, but was (and is) most used in the Netherlands. There are about 160 primary schools and 19 secondary schools spread throughout the country. All of them are very popular with the Dutch population. What is this system exactly about and how does it work? The faculty of Political Science at the University of Bucharest is a brilliant example of how education can help build a connection between young European students, where we can share our experiences and ideas with others, and work together to build a common future and a common identity. Brain drain is increasingly a matter of concern within the European Union, as more and more highly skilled people migrate from the South and East to the North and West of the continent. Children caught in conflict should not miss out on education - a path to learning and peace! 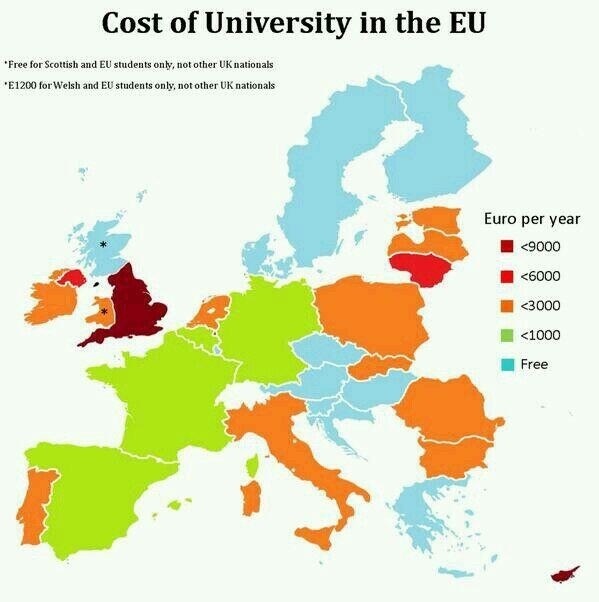 As can be seen on this map, the price of getting a university education varies greatly from country to country throughout Europe. Half of Europe’s youths live with their parents, making inequality deep-rooted. Surprisingly peace is not at all that insignificant within the younger generation in Europe as it is said by those who demand a new narrative. 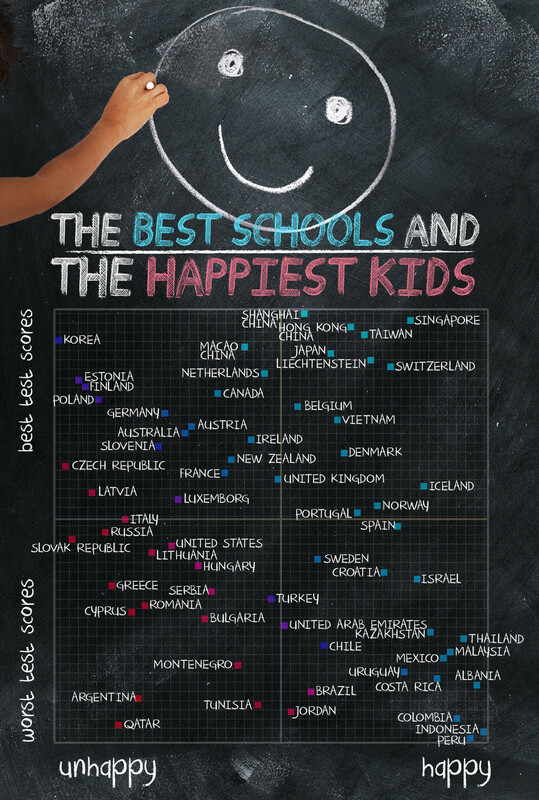 How happy are schoolchildren in your country? Schools and pupils across Europe and the rest of the world were recently put through a slightly different kind of exam than they might be used to. As the last part of the article series, now we have a look at the higher-educational opportunites in Spain and in the UK. Christos Mouzeviris Founder of The Eblana European Democratic Movement. Originally from Greece, based in Ireland. A European and a Citizen of the World. Marios Nomikos Marios Nomikos was born 22 years ago in Hydra. He is studying International, European and Regional Studies in Panteion University of Athens. He specialises in International Law, European Institutions and Integration.